DescriptionFill these charming cones with the co-ordinating Scripted Marble confetti and distribute to guests so you can be showered in hearts in white and silver when you leave the church. Each pack contains 10 elegant marble cones, embellished with gold foil accents. 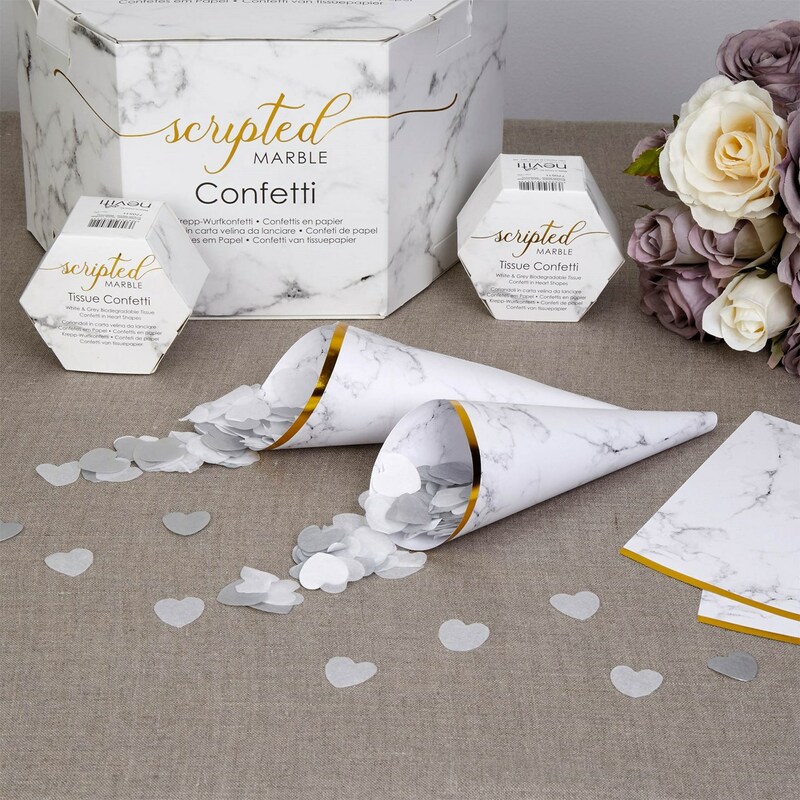 Fill these charming cones with the co-ordinating Scripted Marble confetti and distribute to guests so you can be showered in hearts in white and silver when you leave the church. Each pack contains 10 elegant marble cones, embellished with gold foil accents.